Throughout my career as a commercial artist, I’ve had to tackle many creative projects that required me to simultaneously focus on multiple tasks and jobs. The stress level became unbearable. It was beginning to effect my sleep, so I looked into different ways to de-stress and silence my mind. But how? Is it possible to actually stop thinking? Then I discovered that all these attempts were exactly what was causing a growing frustration within. The problem was that I was “doing.” Meditation is about NOT doing. You simply find yourself a quiet haven, relax your mind, and float into nothingness. Sure, thoughts can slip in and you may find yourself scolding yourself… “I’m thinking about the day’s events.” But no scolding necessary. Each time you practice “not doing” and a thought comes fluttering in, learn to pay it ZERO attention and it will dissipate. In time you will be able to do this effortlessly. In the beginning you may feel it is utterly pointless. It isn’t. It may take days, weeks, or months of repeating this fifteen-minute daily “letting go” of all thought, but one day you will find yourself in a powerful space of self-love. This brings forth self-worth and connecting with your beautiful spirit manifests it. As you begin to understand this dynamic, which is available to all, you will find it spreading contagiously to the world around you—to your family, your pets, your community, nature, and the planet. This is the “doing” part of meditation. It is how you go forth and how you are guided and it begins with making the connection to the beautiful you within. Meditation is a tool that can open that door. Breathe in the positive environment all around you and exhale all stress. Relax into the silence of your own breath. Meditation helps us tune into the Earth’s good vibration. Humans, plants, animals, and the world around us are all made up of energy. In fact, they are living energies. Your energy is much like your fingerprints; nothing existing can match your personal vibrational signature. Imagine your energy as a light radiating all around you. Now imagine each element you come into contact with as a living, breathing ball of light—your loved ones, friends, pets, each glowing. Now close your eyes and imagine a person you love with all your heart coming into the room and standing beside you. Can you sense the shift in your energy? Take note of the changes within you. Do you feel lighter, more vibrant, calmer, or even tingly? Keeping your eyes closed, imagine a person who is always irritable and unkind, someone who always has something nasty to say. They come into the room and stand beside you. How has your energy shifted in response to this person? Note the changes within you and how your energy reacts to this negative energy standing beside you. We can begin to see how one individual, whether positive or negative, can change the dynamics in a room like a rippling wave washing over it. This is the effect you yourself have on other people. Now you can begin to have a deeper realization of the “good vibes” or “bad vibes” you are connecting with. You are able to become more sensitive to this as you tune into it. This unspoken communication resides all around and perhaps you may be engaged in it totally unaware. So – what kind of energy are you? This short, accessible guide introduces readers to Sæ-sii meditation, which differs from the vast number of other meditative methods in that it relies solely on the inner voice as a guide. 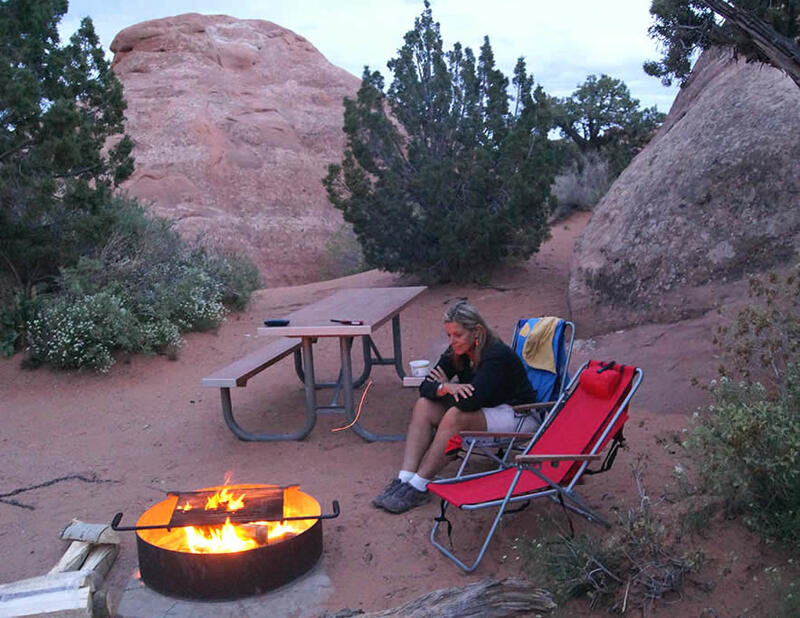 What sets Sæ-sii meditation apart is that it can be done anywhere without the use of any visual cues, aromas, or special music. This is extremely beneficial in situations that require people to instantly escape mentally, and can even be done with their eyes open. Readers will learn how this simple method can help them overcome difficult situations and unlock—and resolve—deep personal issues. The path to learning this valuable practice has been broken down to its simplest form so as to reach the largest audience. In twenty-five easy, unintimidating lessons, readers receive practical step-by-step methods, allowing them to calm their minds and connect to their internal teachers. Using simple yet profound techniques that are easy to adapt, I combine my own insight, knowledge, wisdom, and humor to guide the readers on a joyful journey of self-discovery that ultimately leads to their bliss. This book came into my life at the right time. It was at a time of anxiety and stress where I needed to quiet the inner chatter. Meditation has never been easy for me but this book changed my feeling about it. Lorraine Turner explains in 25 simple and clear lessons how to find your inner peace, quiet your mind and stop that pesky inner chatter. Using these lessons, I was able to overcome anxiety, stress and personal issues. I learned to let go for 15 minutes twice a day. This book is the best medicine that I have ever taken. I feel empowered and grounded. I know that no matter what happens today, I have my 15 minutes of blissful meditation to help me through. I recommend this book to anyone. It is simple, well-written and easy-to-follow. 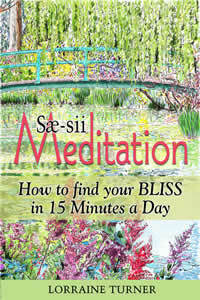 Sae-sii Meditation – How to find your BLISS in 15 minutes a Day is all about simplicity and keeping it simple. This book has had a profound impact on my mind, body, spirit and soul. “Lorraine Turner is one of a rare breed of gifted and spiritually aware individuals. Blessed with powerful insight into the tribulations of the human condition and drawing upon her unique life experiences she offers a masterful set of tools through which the route to inner peace and contentment can be found. Utilizing simple, yet profound techniques that are easy to adapt, the author combines her own insight, knowledge, wisdom and humour to guide the reader on a joyful journey of self-discovery, ultimately leading to bliss.